Selfie is the act of taking photos of yourself using a mobile camera. Selfies can use sticks but most are easier to use their own hands. Selfie is usually used to take pictures of own face, whether they want to show off beauty or just want to exist on social media. But there are other things that make selfie a necessity for some people. 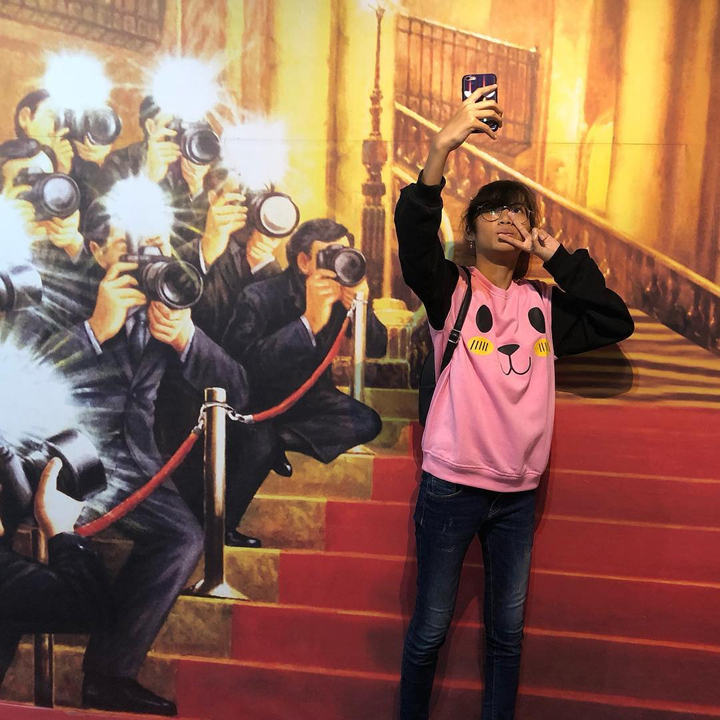 Selfie using cool place backgrounds, it will be a special attraction to get reactions like likes, thumbs, or comments from followers or friends in certain applications. Responsive tourism people can certainly capture this niche by developing selfie tourism potential. Areas that are actually mediocre, can be transformed into something viral on the internet and get such a terrific visit response. Now, the benchmark of people visiting tourist attractions is not just the famous of the place, but how instagramable the place is to be posted on social media and get an overwhelming response. Sometimes there are places actually just a mediocre places and doesn’t even seem to be anything interesting there, but that place can be a viral conversation on social media because the place was very Instagramable. Some people disappointed after knowing that the place is not as good like the photo’s that showing on social media. But now that phenomenon is booming. If there is a place that is not Instagramable, why come there? 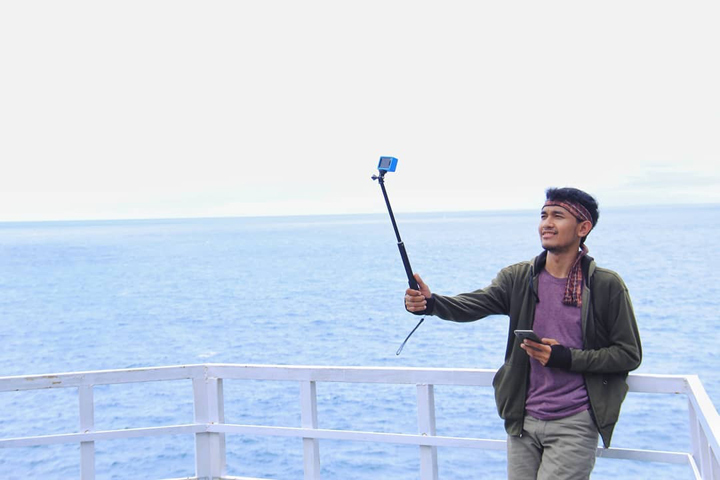 The phenomenon of selfie in instagramable places certainly does not only occur in Indonesia but throughout the world. Luckily Yogyakarta, as a city of culture and the center of civilization in the past, there are many instagramable spots. Many classic historical buildings (like a temple) are found in Yogyakarta so that they support selfie tourism which is now booming. 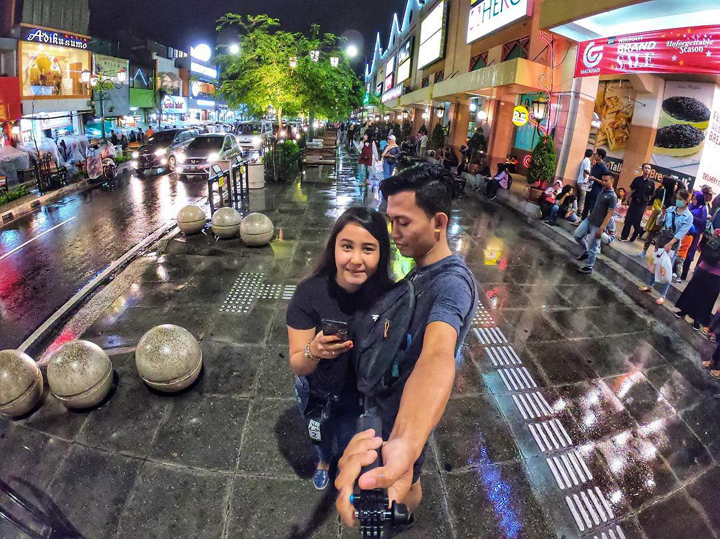 In Yogyakarta there are also many creative communities that can turn ordinary places into tourist attractions that are very viral on social media. 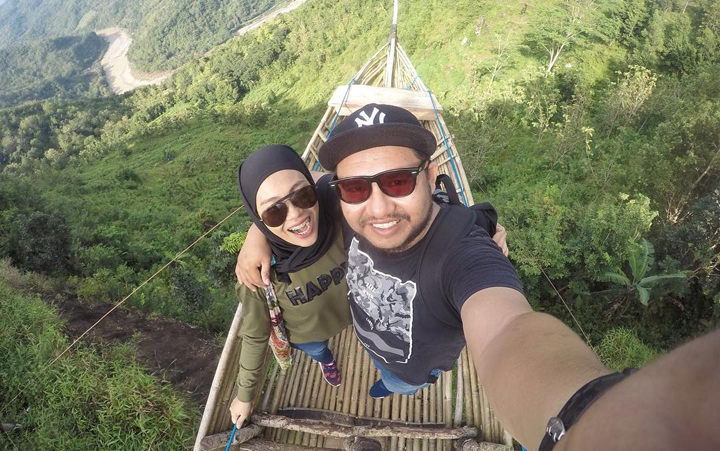 If you go to Mangunan, Bantul or Kulonprogo Hills region, You will find many new tourism spots that highlights the selfie tourism. Like Seribu Batu Songgo Langit, Becici Pass, Kalibiru Hills, Pule Payung, Pinus Pengger and So on. Even though there are not only spot selfies, of course there are tour services such as rappelling, flying fox, see-saw, Swing and so on. There is also an indoor tourism that specifically made for a selfiers. such as the Demata Trick Eye Museum, DeArca Museum, Upside Down World and Selfie Park Taman Pule. In that place, there are only services to take pictures with various backgrounds and settings. There are no other services, other than taking pictures. At the city of Yogyakarta, you do not need to worry. The city is full of wide variety original backgrounds. Almost in all parts of the city was a place that can be a selfie spots. For example, you can travel to Malioboro Streets or Sultan’s Palace, then you can make almost all corners for selfies. However, that does not mean, other regions are not Instagramable. Malang and Bandung are also selfie tourist destinations that are worth visiting, especially the island of Bali. As the second tourist destination after Bali, Yogyakarta is indeed worth visiting. You can see it on Instagram or other social media, the post about Yogyakarta tourism is relatively dominant. There are many different choices of selfie tourism. So, if you want selfie tours or other tours, such as adventure, temple tourism, cultural tourism, caves tourism or historical tourism. You can get it all in one package in Yogyakarta. What are you waiting for? Packing your things, Prepare your clothes, Order your ticket, Book your hotel, then go to Yogyakarta. We are pretty sure that your selfie posts in social media will get the response like what you expect.